Breast cancer survivors have limited options for the treatment of hot flashes and related symptoms. Further, therapies widely used to prevent recurrence in survivors, such as tamoxifen, tend to induce or exacerbate menopausal symptoms. The aim of this preliminary, randomized controlled trial was to evaluate the effects of a yoga intervention on menopausal symptoms in a sample of survivors of early-stage breast cancer (stages IA–IIB). Thirty-seven disease-free women experiencing hot flashes were randomized to the 8-week Yoga of Awareness program (gentle yoga poses, meditation, and breathing exercises) or to wait-list control. The primary outcome was daily reports of hot flashes collected at baseline, posttreatment, and 3 months after treatment via an interactive telephone system. Data were analyzed by intention to treat. At posttreatment, women who received the yoga program showed significantly greater improvements relative to the control condition in hot-flash frequency, severity, and total scores and in levels of joint pain, fatigue, sleep disturbance, symptom-related bother, and vigor. At 3 months follow-up, patients maintained their treatment gains in hot flashes, joint pain, fatigue, symptom-related bother, and vigor and showed additional significant gains in negative mood, relaxation, and acceptance. 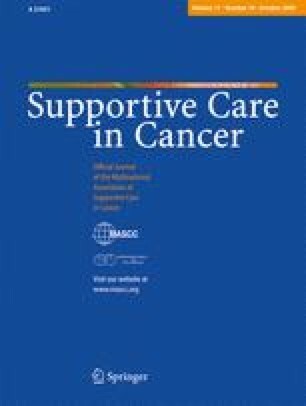 This pilot study provides promising support for the beneficial effects of a comprehensive yoga program for hot flashes and other menopausal symptoms in early-stage breast cancer survivors. This work was supported by a grant from the Susan G. Komen Breast Cancer Foundation.